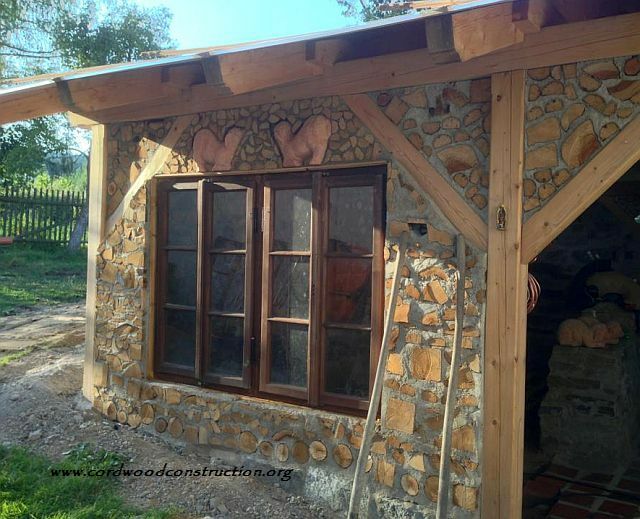 Miroslav Bentley Kubala sent some photos of his beautiful cordwood garage/storage studio in Prague (Czech Republic). Miro is an artist and a fancier of things automotive/motorcyle and sound related. 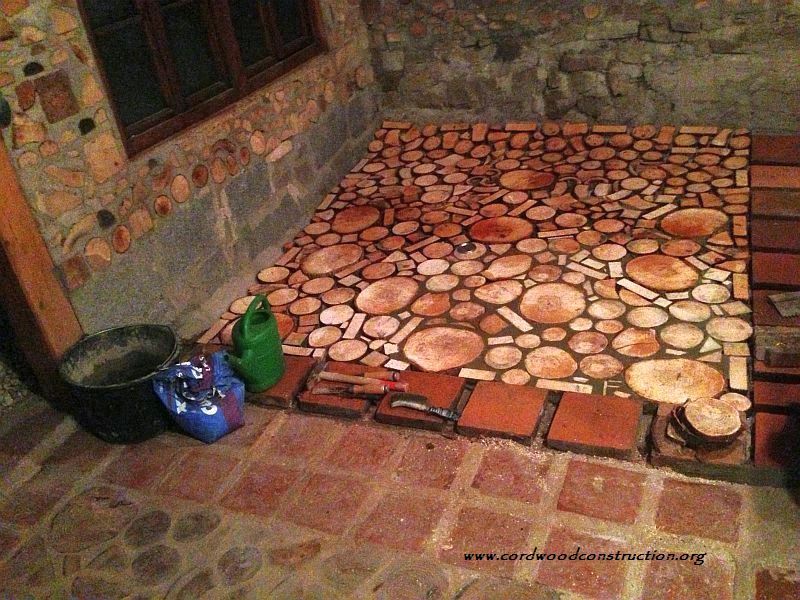 In his cordwood garage/storage area he decided to lay a cordwood floor. 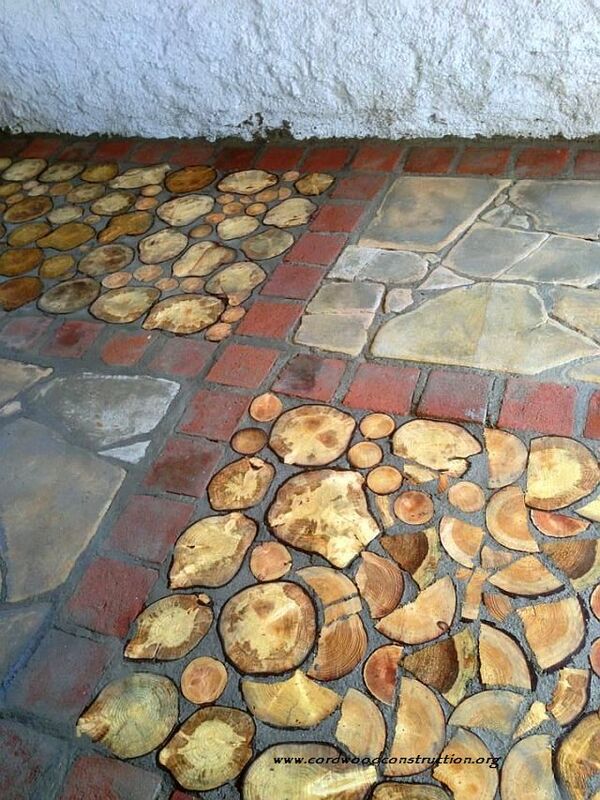 He intermixed the cordwood with brick and stone. 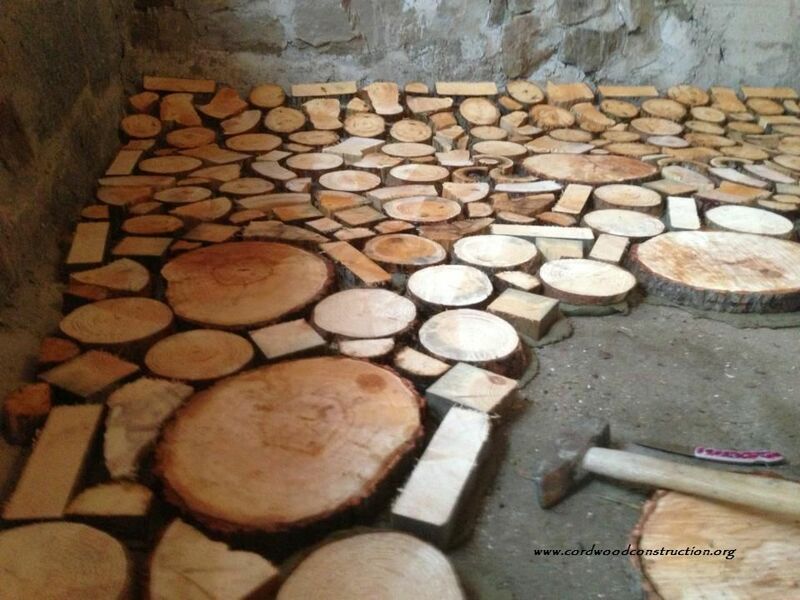 Cut slices of wood (hardwood or a rot resistant softwood) 3/4″ to 1 inch. Seal the top of the slices so they don’t get stained by the grout. 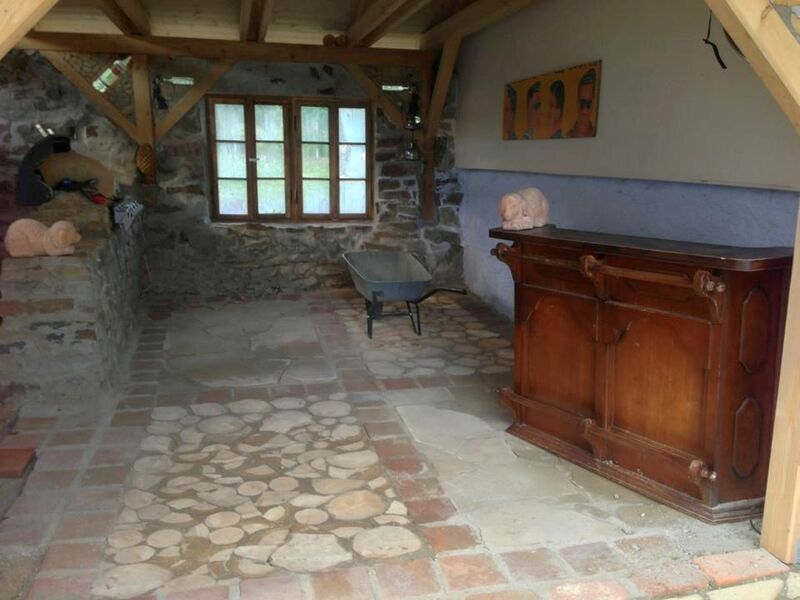 The juxtaposition of stone, brick and cordwood is very compelling. 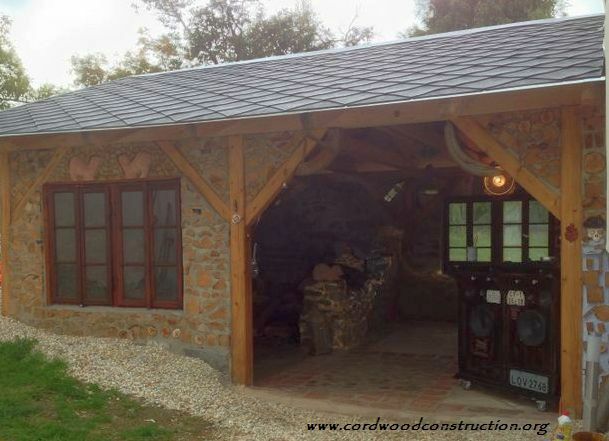 Miro built a rugged post and beam framework and then infilled with cordwood. 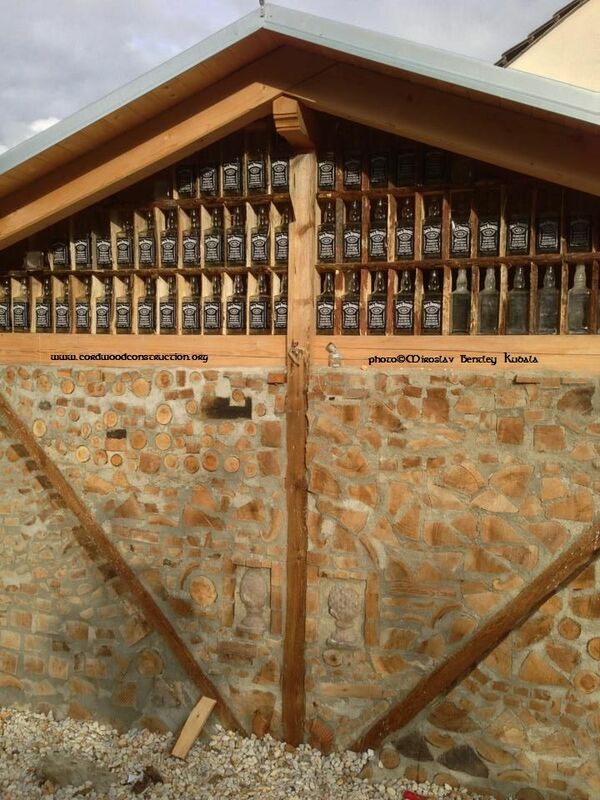 On his gable end he placed 62 Jack Daniels Whiskey bottles. 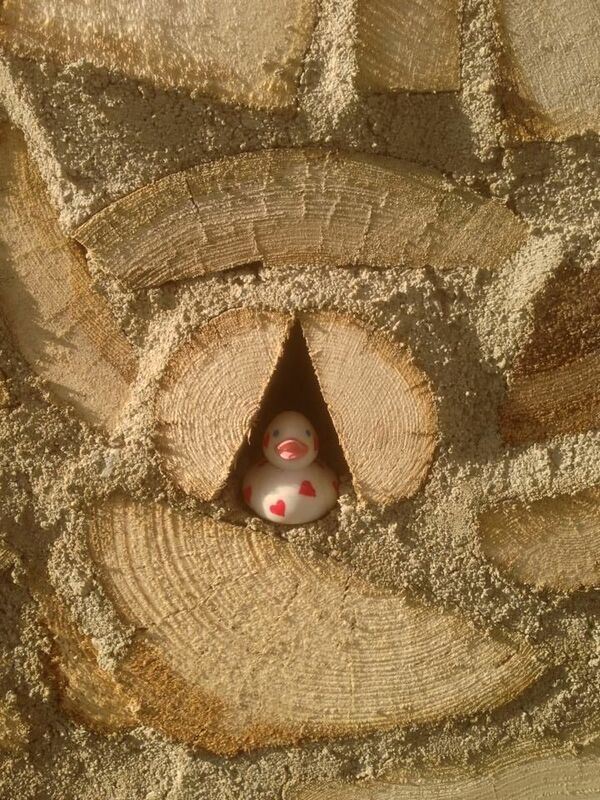 On the inside he has stone, brick, block, cordwood, stucco and a fireplace! Here is Miroslav on one of his machines. He loves speed, good styling, music, cordwood, travel and fun. 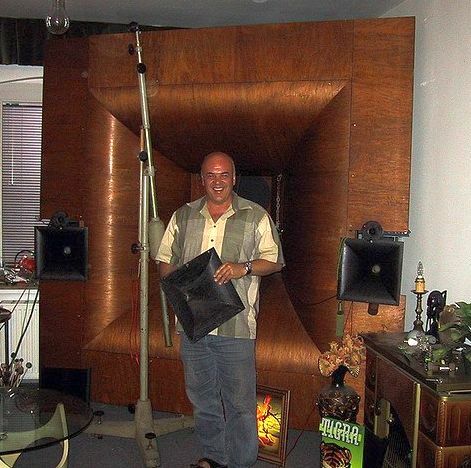 Miro builds speakers and loves good audio. He claims this one by Kraftwerks is the best he has ever heard. Since he is a master of sound, I believe him. 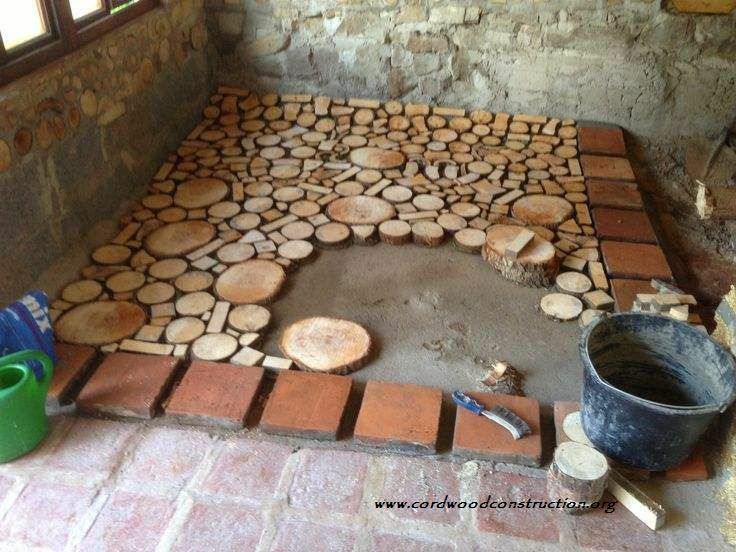 Should you be interested in building a cordwood floor please visit www.cordwoodconstruction.org and click on the picture of the cordwood floor near the bottom of the first page. 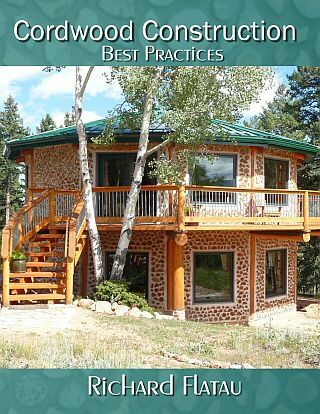 Should you wish to read about how to build a cordwood cabin, click on the book cover.